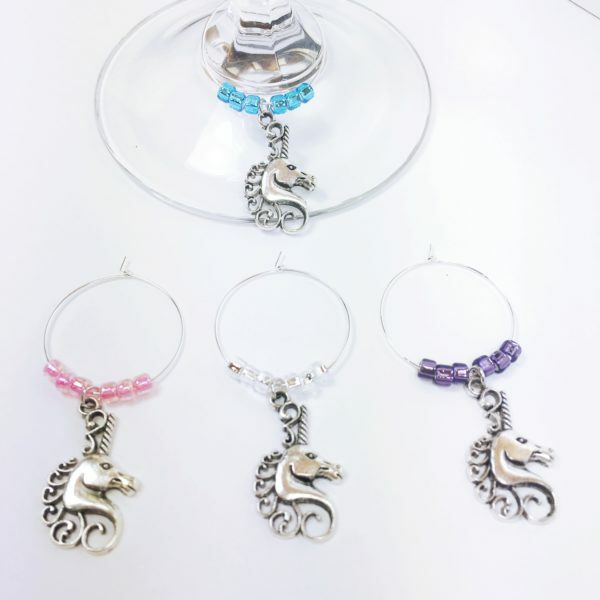 Enchanting unicorn wine charms for the dreamer. Add a little sparkle to your next party with these enchanting unicorn wine charms. 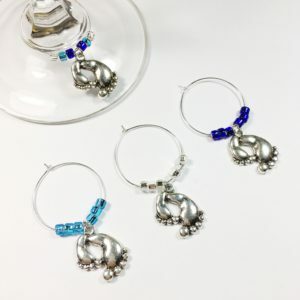 This unicorn wine charm set includes 4 wine charms surrounded by sparkling glass beads. 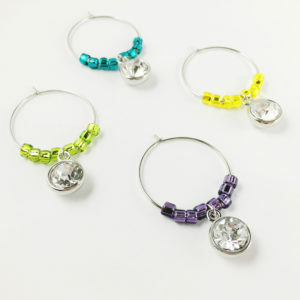 Bead colors include pink, purple, light blue and silver. Not only will they add little sparkle to your glasses, but they’ll also help your guests keep track of their drinks. 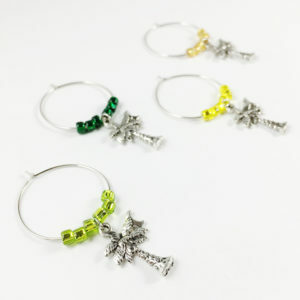 Wine charms are a wonderful gift alone! They can also be paired with a nice bottle of wine or given with a set of glasses. 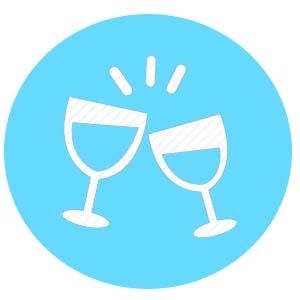 Use on wine, martini or margarita glasses as well as champagne flutes, beer steins or coffee mugs. Group Therapy Wine’s unique wine charms are an ideal hostess gift or housewarming gift, especially for the person who has ‘everything.’ These are unique addition to any bar collection. 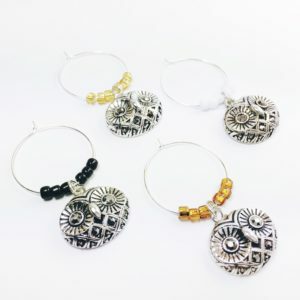 All wine charms are handmade in Texas. Each set comes on a Group Therapy Wine card and packaged in a white box wrapped in ribbon. Charming. Company went out of their way to make this an excellent purchase!